Its tough to deal with hemorrhoids on a daily basis. Even more so when you are in the office or work place and trying to have a productive day. Here are a few tips and ideas that might make that situation a little better! Start the work day off with a thorough shower that focuses on overall body cleanliness. Keeping a strong standard of healthy washing and soaping of the body helps in the fight against hemorrhoids. Try to wake up and do anything, chore our household wise, done before you shower. That way you can start the day off fresh and clean, dressed, and heading off to work. This gives you not only a good feeling but a fresh start to the day, clean and prepped. If you spend your day sitting at a desk or table a well cushioned chair is essential to reducing the amount of stress and pressure that is placed on your lower region. This pressure can cause strain and discomfort to you and will leave you agitated and uncomfortable throughout the day. Search around the office to make sure you have the best chair available and make sure it meets your needs. If not, strongly consider finding a chair that is comfy or continue reading and follow our next tip. Bringing a light throw or blanket is a perfect way to cushion specific spots on your seat when you find yourself with an uncomfortable chair or awkward pain in different directions. Creating a donut or ring around the outside of the cushion can great help in relieving that pain. Its also nice to have the blanket there that can easily be used under the guise of warming! Wet Wipes are a great way to add a focused cleanliness factor to your irritated areas. Yes, we know many feel uncomfortable carrying a packet or snap case into the bathroom with you but your health and wellness should always come first. Wet Wipes, and other moist towelettes, allow you to thoroughly clean yourself and can be cooling to your hemorrhoids. Make sure when you are done to properly “pat dry” or “air dry” the area as to prevent and moisture pain. Cleanliness is a key factor in keeping your hemorrhoids at bay. Most people associate body power with babies. Body powder or Talcum Powder can be a lifesaver. By applying talcum powder to your painful area you allow them to dry out and shrink. 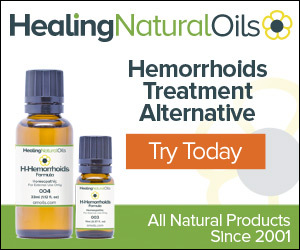 This is extremely helpful to decreasing the amount of time affected by hemorrhoids. An easy way to make any hemorrhoid situations less painful is to make sure to take a water bottle wherever you. Hydration is key in our daily lives but many don’t realize the added benefit of drinking water. It softens your stool, creating softer bowel movements that will be less distressing to your irritated areas.